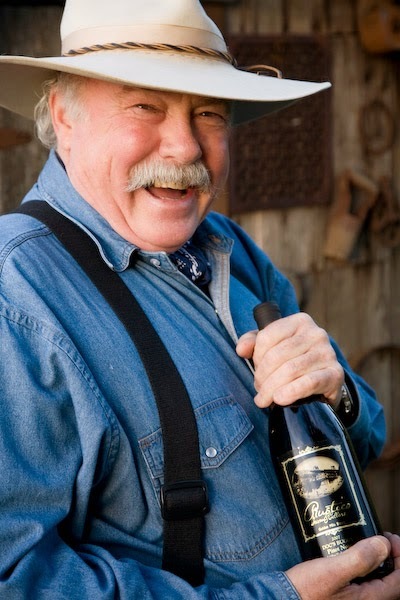 In blending the 2012 Nota Bene, Black Hills winemaker Graham Pierce decided to break with the tradition of anchoring that wine around Cabernet Sauvignon. The 2012 vintage, the 14th vintage of Nota Bene, has just been released and Graham has been doing some trade tastings. The blend for 2012 is 57% Merlot, 35% Cabernet Sauvignon and 8% Cabernet Franc. In every previous vintage but the first, the blend contained around 50% Cabernet Sauvignon, creating a familial consistency in the wine. 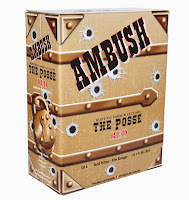 The first vintage in 1999, some 1,600 cases, was made by a Washington State winemaker, Rusty Figgins, with substantial input from Senka Tennant. One of the former owners of Black Hills, she was the winemaker through the 2008 vintage, when Graham took over. I have no notes on why that first vintage was heavy on Merlot. My informed guess, however, is that the decision was made for the winery by the weather that season. 1999 was a cool growing season during which Cabernet Sauvignon would have struggled to ripen more than Merlot. That was not the situation facing Graham in 2012. That was “one of the best years we have seen for flavour profiles, balanced ripeness and quality,” the winery says of that year. The Merlot-dominant blend was, as Graham says, judged to be the better wine. Many Okanagan Meritage reds are anchored by Merlot, and not just because so much of that varietal is in the vineyards. When it is well grown, Merlot in the Okanagan is not the soft, jammy varietal that was panned in the movie, Sideways. The variety has good structure, vibrant fruit flavour and bright acidity; it does not need to be propped up by a lot of Cabernet Sauvignon. In his trade tastings, Graham has been showing the 2012 as part of a vertical tasting that includes the previous five vintages. It is as if he is putting down a marker, showing that he need not apologize for changing the recipe. In one recent trade tasting, the overwhelming favourite was the 2009 Nota Bene. That wine is a big, rich and concentrated red from one of the Okanagan’s greatest vintages so far. The blend is 46% Cabernet Sauvignon, 38% Merlot and 16% Cabernet Franc. If you want to taste this delicious wine, you either need to find a Nota Bene collector or sign up for a vertical tasting at the winery. If the 2009 outscored the other vintages, none of the other wines disappointed. Even with vintage variations, the quality consistently is high. And Nota Bene always tastes like Nota Bene, with flavours of blackberry, plum, black currant, chocolate, liquorice and sage nestled in a plump texture. The Nota Bene 2012 ($53 to 3,200 cases) stacks up very well. The familiar sage and herbal notes are on the aroma and the finish. The fruit flavours include black cherry, plum, coffee and chocolate. The texture is rich and ripe, with long tannins. The winery says this was “more masculine” than previous vintages – even after dialling back the Cabernet, which speaks well of the quality of the Merlot. This will age as well as any Nota Bene, which is seven to 10 years. 92-94. Recent releases that have crossed my desk make it obvious that Pinot Noir is succeeding very well in British Columbia. That is hardly a new insight, either for me or for others who following the British Columbia wine scene. But I don’t mind repeating it, since the Pinot Noir offerings are getting better all the time. That is not to take anything away from the other reds we do so well: Merlot, Cabernet Franc, Syrah and occasionally Cabernet Sauvignon. The best of those come from sun-bathed terroirs around Oliver, Osoyoos and the Similkameen Valley. Satisfying Pinot Noirs come from almost anywhere else that grapes grow in British Columbia, with the best coming from Okanagan Falls, Naramata Bench, Kelowna and Lake Country. Recently, producers have been releasing wines from 2011 and 2012, vintages that yielded elegant Pinot Noirs in the former case and bold Pinot Noirs in the latter. There are also some exceptional white wines being released. I am adding notes on those as well as for the fine Pinot Noirs. The two Quails' Gate wines are from winemaker Grant Stanley's last vintage at that winery before moving on to become a partner at 50th Parallel Winery at Carr's Landing. What a magnificent exit interview! 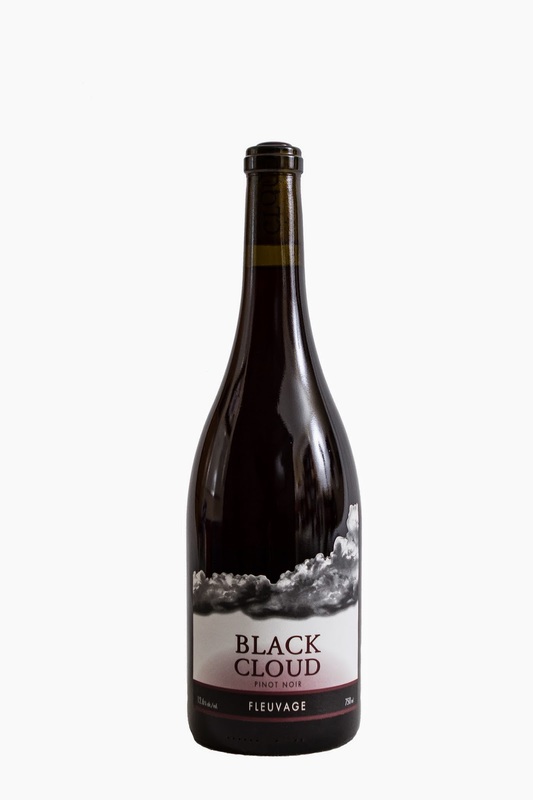 Black Cloud Winery Altostratus Pinot Noir 2011 ($35 for 1,208 bottles). The wine is made with fruit from the Remuda Vineyard at Okanagan Falls. Bradley Cooper, the co-owner and winemaker for Black Cloud, now has made four vintages of Altostratus. Those who had the wit to collect it are lucky indeed. Dark in hue, this is a full-bodied Pinot Noir with the depth and structure for aging; it is premature to open this wine for at least two years unless for a review. It shows deep spicy cherry aromas and flavours framed by toasty oak. 90. Black Cloud Winery Fleuvage Pinot Noir 2012 ($25 for 1,176 bottles). The fruit for this is from Loveridge Ranch on the Naramata Bench. Light and delicate, this is a charmer made in a style often called feminine. It has notes of cherry and raspberry with a lingering fruity finish and a silken texture. 88. Blue Mountain Pinot Noir 2012 ($25). The winery’s “regular” Pinot Noir has always been good value. This wine reflects the vintage with depth of texture. It has aromas and flavours of spicy cherry and raspberry with enough polished tannins to give this five to seven years in the cellar. 90. Blue Mountain Pinot Noir Reserve 2011 ($35.90). This was the first vintage of the reserve Pinot Noir that was fermented entirely with wild yeast “in order to better express the terroir of our estate,” according to the winery’s notes. Medium-bodied, the wine is elegant, with aromas of spicy fruit and flavours of strawberry, raspberry and cherry. The texture is silky. 92. Blue Mountain Pinot Gris Reserve 2011 ($25.90). Thirty percent of this wine was fermented and aged in French oak. That accounts for light golden hue and the subtle touch of oak supporting honeyed citrus aromas and rich flavours of orange and orange peel. There is an alluring hint of anise on the finish of this complex and satisfying wine. 91. Blue Mountain Chardonnay Reserve 2011 ($25.90).This wine begins with an ethereal aroma of toasty lees mingled with citrus. Half of this wine was barrel-fermented. The result is very subtle oak delivering sweet fruit flavours to the palate. The creamy texture accentuates the elegance of understated Chardonnay. 91. Kettle Valley Winery Gewürztraminer 2012 ($22 for 605 cases). By drawing fruit for four vineyards, including one in Summerland, Kettle Valley has crafted a complex Alsace style wine. It begins with aromas of spice, grapefruit and lychee. It delivers a bowl of tropical fruit including lychee, mango and peach. The finish is delightfully persistent. 90. Kettle Valley Winery Viognier 2012 ($26 for 205 cases). A portion of this was barrel fermented and allowed to go through malolactic fermentation, giving the wine a lovely golden hue and a creamy texture. The remaining wine was fermented in tank to deliver apricot aromas and fresh fruit flavours of orange, peach and apricot. This mouth-filling wine has a long, lingering finish, with a moderate alcohol of 12.9%. The wine is thoroughly delicious. 91. Kettle Valley Winery Pinot Noir Reserve 2011 ($38 for 191 cases). This comment is not intentionally rude but this wine reminded me of the story of the ugly duckling that turned into a beautiful swan. This is an earthy and muscular wine with a porty concentration of black cherry, liquorice and spice flavours. Just lay it down for five to ten years and it will blow you away. 91. Kettle Valley Winery Hayman “John’s Block” Pinot Noir 2011 ($38 for 45 cases). This is a single vineyard winery dedicated to the late John Levine, a great wine lover who was Kettle Valley’s first customer. The wine is simply spectacular, with spice and fruit aromas exploding from the glass, followed by rich and generous flavours. At 14.4% alcohol, it is even riper than the reserve (13.8%), but already has the perfect balance of a beautiful swan. 92. Kettle Valley Winery McGraw Estate Merlot 2009 ($38). The winery intended to send the 2011 vintage, the current release, but sent the 2009 in error. Less than two cases remain at the winery. But what a happy mistake for the reviewer! This muscular and concentrated wine begins with aromas of blueberry, black currant and vanilla, leading to flavours of plum, prune, black currant and liquorice. 91. A warning: there are only 45 cases of the 2011. I would recommend it on the strength of the 2009. Quails’ Gate Stewart Family Reserve Pinot Noir 2012 ($45 for 1,775 six-bottle cases). The 14% alcohol and the dark colour signal that this is a bold ripe wine. Black cherry aromas are lightly framed by well integrated oak. The flavours are intense, showing black cherry and raspberry with spice and nuts on the finish. The finish is exceptionally long. The texture shows firm, polished tannins well on the way to silkiness, but with the power to give this wine eight to 10 years cellar aging. 94. Quails’ Gate Stewart Family Reserve Chardonnay 2012 ($35 for 1,130 six-bottle cases). This barrel-fermented wine begins with aromas of pear, tropical fruit and butterscotch. On the palate, there are flavours of peaches, nectarines, and mangoes with cloves and butterscotch on the finish. The wine has a generous texture. Just a hint of its alcohol, which is 14%, peaks through the ripe flavours. 90. Tightrope Pinot Noir 2012 ($32 for 150 cases). This is the first Pinot Noir from a Naramata Bench winery that expects to open a tasting room this fall. Tightrope released impressive whites ands a rosé last summer and this wine rises to similar standards The texture is silky. It begins with exuberant cherry aromas mingled with toasty oak. This vibrant wine delivers a bowl of cherry and raspberry flavours, leading to a spicy finish. The fruit is so intense that it fools the palate into thinking this is a slightly sweet wine. 90. 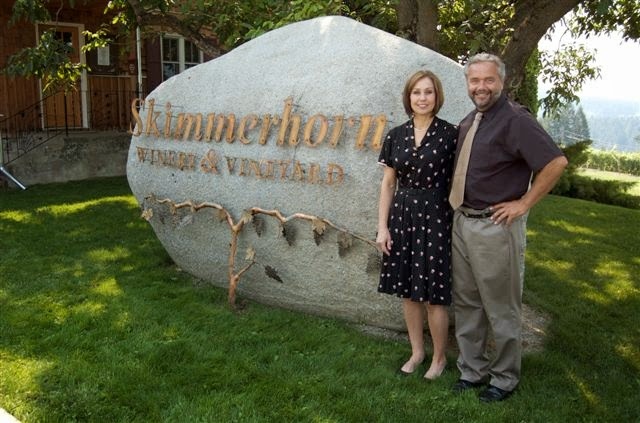 The Guiness Book of Records has been asked to verify the claim – but there can hardly be much doubt that the outline of a wine glass in the vineyard at Similkameen’s VineGlass Renewal Resort is the world’s largest. The seven-acre vineyard is owned by Roger Hol and Jyl Chegwin, his partner. The resort is a new winery that has released two wines. It operates three suites in a serene valley beside the Similkameen River, not far from the Night Hawk border crossing. The vineyard wine glass was inspired by experience that Jyl, a horticulturist, had previously at a Fraser Valley farm corn maze. The couple did not want their guests getting lost in the vineyard. They wanted guests to experience it through a wine glass-shape walking path through the vines. The result is probably the world’s largest wine glass. It is visible to hikers walking in the nearby Grass Lands Park. In fact, it likely is visible from the International Space Station, tantalizing astronauts who don’t get to relax with a glass of wine. Just a mile from Highway 3, the quiet resort offers a sky free from light pollution. Both the space station and the stars will be crisp and clear in the night sky. Anyone visiting the resort can relax on its shaded lawns with either VineGlass Rejuvenation Red or Vigorous Viognier (or both). Roger, a marine engineer by profession, is a veteran Similkameen grape grower. A farmer by avocation, he was formerly in partnership with Andrew Peller Ltd. to operate the 28-hectare (70-acre) Rocky Ridge Vineyard. It was planted in 1998 and Roger looked after the 70,000 vines until 2008, when Peller exercised its option to acquire his interest. His current farm, which he purchased on the heels of the Peller transaction, is an almost spiritually quiet property. The resort is meant for those seeking renewal in the peaceful ambiance. The vineyard was planted to support a red blend with Cabernet Franc, Merlot and Cabernet Sauvignon. It is modelled on wine that Roger admires: Trius, a blend made at Peller’s Hillebrand Estates winery in Ontario. For a white, he has a small block of Viognier. The booklet provided at the Okanagan Falls Winery Association recent spring tasting disclosed that the 12 member wineries produce only 110,000 cases of wine a year. That may not be a lot of wine but the unofficial Okanagan Falls sub-appellation is not very large. The 12 wineries together farm about 185 hectares. However, these are wineries that punch above their weight, as my notes on the wines will indicate. 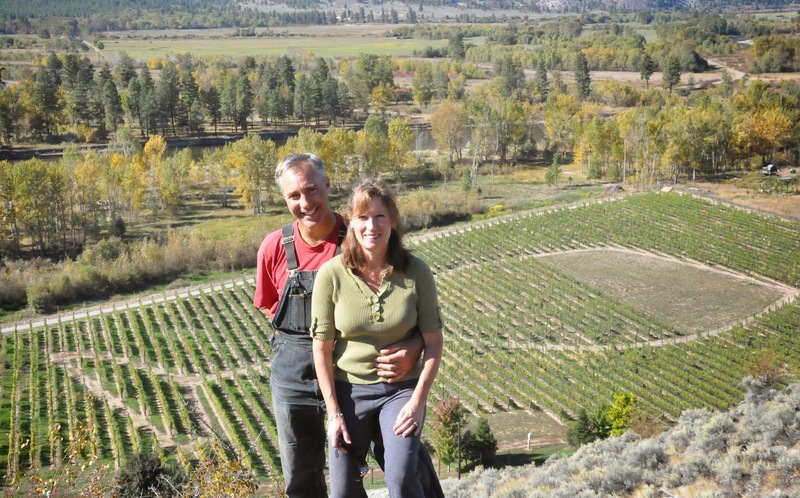 Blue Mountain and Wild Goose Vineyards, the most senior of the Okanagan Falls wineries, have been doing so for a long time. Wild Goose, for example, has probably won more Lieutenant Governor’s awards of excellence than any other B.C. winery. Blue Mountain doesn’t compete but if it did, it would also have amassed many awards. The time available for the tasting was a little less than I needed. That explains the absence of notes for Liquidity Wines, Meyer Family Vineyards and Wild Goose Vineyards. I hope to catch up with them over the summer. of Kaleden, unveiled its new label, Skaha Vineyard (pictured above). It supplements, and perhaps will replace, the whimsical labels with which the winery launched in 2010. Those labels – dancers etched onto the bottles – celebrated the 1920s Prohibition era around which the winery built a theme to make Krāzē Legz stand apart from the crowd. As clever as the labels are, few sommeliers like them well enough to allow the wines on restaurant wine lists, even though the wines invariably have been very good. Before starting the winery, Gerry had a long and successful career in food products marketing. After a few years in the wine business, he knew when to stop banging against resistance. The new label is far more conservative. Sommeliers should be comfortable with it on their tables. The white labels have the image of a horse in the left-hand corner, in part because Sue Thygesen, Gerry’s wife, has a long-standing interest in equestrian matters, from riding horses to photographing them. There is a second reason. The word Skaha, which the Kaleden winery shares with the nearby lake, is an aboriginal word. In one dialect, it means “dog” – the lake once was known as Dog Lake. In another dialect, it means “horse”. The winery explains that on its back label. The winery will still operate as Krāzē Legz, and may produce wines under that label. The majority of wines, however, are being released under the Skaha label. Here are notes on wines from Krāzē Legz and its Okanagan Falls colleagues. Skaha Vineyard Pinot Blanc 2013 ($18.95). This is a classic expression of the variety, with fruity aromas, green apple and stone fruit flavours and a crisp finish. 90. Skaha Vineyard Chardonnay 2013 ($19.95). This unoaked Chardonnay is packed with fruit – flavours of apple, pear and peach – with a touch of minerals in the structure and refreshing acidity on the finish. 90. Skaha Vineyard Mystique 2013 ($19.95). This is a blend of 60% Pinot Blanc and 40% Chardonnay. The wine has just a few grams of residual sugar – not enough to sweeten it but enough to pop the aromas and flavours of the apple and pear fruit. 90. Skaha Vineyard Rosé 2013 ($19.95). Made with Merlot, this is a refreshing wine that cries out for a summertime picnic. Aromas and flavours of strawberry and cherry jump from the glass. The texture is juicy, almost creamy. 90. Blasted Church Vineyards OMG 2011 (sparkling wine) ($27 for 1,000 cases). The winemaker at Blasted Church, Mark Wendenburg, previously was at Sumac Ridge, where he made numerous vintages of the award-winning Steller’s Jay Brut. OMG, made with 45% Pinot Noir, 45% Chardonnay and 10% Pinot Blanc, is made to the same high standards. The wine begins with fruity and toasty aromas. On the palate, there are notes of apples and a creamy texture. The finish is crisp and refreshing. 91. Blasted Church Vineyards Sauvignon Blanc 2012 ($19.50 for 642 cases). This vintage is close to sold out to make way for 2013. The time in bottle has accentuated the layers of tropical fruit on the palate and the herbal and citrus aromas. The wine has a crisp finish. 90. Blasted Church Vineyards Big Bang Theory 2012 ($19.50 for 2,000 cases, of which three quarters has been sold). This generous red is an unorthodox but successful blend: Merlot (65%), Lemberger (14%), Malbec (10%), Syrah (7%) and Cabernet Sauvignon (4%). It is a juicy wine with aromas and flavours of cherry and blackberry. 89. Blasted Church Vineyards Cabernet Merlot 2010 ($26.50 for 3,017 cases; only 150 still available). This is Merlot (52%), 38.6% Cabernet Sauvignon (38.6%), Malbec (7.5%) and Petit Verdot (1.9%). The wine has shown superb bottle development, with soft ripe tannins adding to the rich texture. The fruit flavours move through plum, cherry and raspberry, making for a lingering finish. 90. Blue Mountain Brut NV ($23.90). This elegant but inexpensive bubbly has New Year’s Eve written all over it. The wine, with fine, persistent bubbles, is crisp on entry and on the finish but with a creamy mid-palate. There is a hint of bready aromas and flavours of fresh apples and citrus. The finish is refreshing. 90. Blue Mountain Vineyard 2009 Brut Rosé ($32.90). Made with 84% Pinot Noir and 16% Chardonnay, this wine has a lovely blush hue. The aroma suggests strawberries and apples and this carries through to the creamy palate. The finish is crisp and clean. This wine is so delicious that you probably want to buy it by the magnum, if you can still find one. A bottle is not enough. 94. Blue Mountain Vineyard Chardonnay 2012 ($21). This winery’s understated Chardonnay is designed to accompany food. It is an elegant wine with hints of citrus in the aroma and on the palate, and with a mouth-filling polished texture. The Blue Mountain style is to ferment 40% of the wine in stainless steel and 60% in a mix of new to three-year-old barrels. The wine in barrels ages there for seven months, with minimal battonage of the lees. Only 10% has gone through malolactic fermentation. The fruit flavours remain fresh, supported by a fine skein of minerals. 90. Blue Mountain Pinot Noir 2012 ($25). This is a seductively pretty wine, silky in texture, with notes of strawberry, cherry and a spicy toast gained from 10 months aging in French oak. This is a very complex wine, involving six clones of Pinot Noir – the vines are between six and 28 years old. The lightly crushed grapes, along with some whole clusters, were given 16 to 20 days maceration on skins in open top fermentation tanks. Half the wine was fermented with wild yeast native to the vineyard. The winery suggests this vintage will age six to seven years. 91. Noble Ridge Vineyard The One 2010 ($39.90 for 265 cases). This sparkling wine cuvée is 70% Chardonnay and 30% Pinot Noir. The wine spent about 26 months en tirage before being disgorged in June 2013. It displays the toasty, bready aromas and flavours one expects with Champagne. The bubbles give the wine a creamy mid palate but the finish is crisp and dry. Noble Ridge Reserve Chardonnay 2011 ($23.90). The oak is bold but well integrated with the citrus and buttery flavours. It is a big wine on the palate, almost creamy in texture. 89. Noble Ridge Pinot Noir 2010 ($25 for 568 cases). In style, this wine is darker and more muscular than the Blue Mountain. Noble Ridge says it will age gracefully another five or six years. The grapes for this wine, after a cold soak on the skins, were fermented cool in stainless steel. The wine then was racked into French oak. It aged there a year and then spent another two years aging in bottle before release. The wine begins with aromas of cherry and raspberry, leading to a medley of red fruit flavours against an underlying earthiness. 89-90. Noble Ridge Meritage Reserve 2009 ($30 for 538 cases). This is 80% Merlot, 20% Cabernet Sauvignon – and from one of the Okanagan’s best recent vintages. The wine was aged 15 months in French and American oak (40% new) and then bottle aged 14 months. I would be surprised much is still available because this wine picked up two golds and two silvers in competition last year. 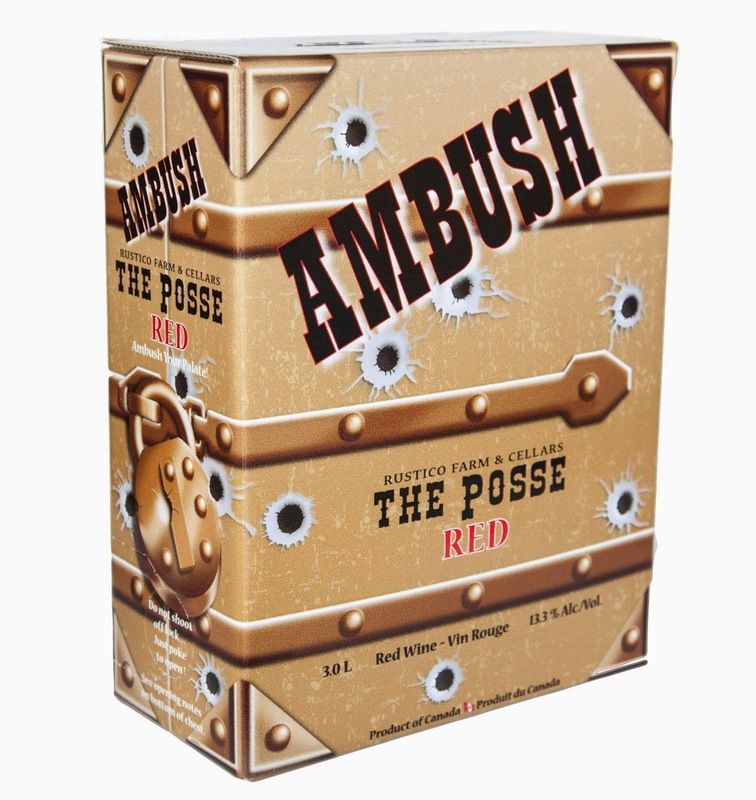 It is a bold, satisfying red, beginning with aromas of black cherry, vanilla and spice. That leads to flavours of black cherry, vanilla, chocolate and coffee. The long ripe tannins give it accessibility now as well as age-ability. 91. Painted Rock Red Icon 2011 ($55). This is a blend of 30% Malbec, 27% Cabernet Franc, 20% Merlot, 20% Petit Verdot and 3% Cabernet Sauvignon. In the glass, the wine announces itself dramatically with perfumed aromas that include cherry, plum and vanilla. The wine is rich and ripe on the palate, with flavours of black cherry, cassis and mocha. The balance is exquisite and elegant, with a suave and polished texture and a very long finish. 95. Painted Rock Merlot 2011 ($40). This is a generous Merlot with luscious flavours of black currant and blueberry. Richly concentrated on the palate with long ripe tannins, this is a textbook Merlot. 92. Painted Rock Syrah 2011 ($40). This is made in the classic northern Rhone style, with pepper and black cherry aromas and with a medley of flavours, from black cherry to spiced deli meats. On the palate, this complex wine surprises by delivering a delicious core of sweet berry flavours. 93. See Ya Later Ranch Pinot Gris 2012 ($16.99). Crisp and lean in style, this wine has citrus and herbal aromas and flavours. 88. See Ya Later Ranch Gewürztraminer 2013 ($15.99). The winery, which is near Okanagan Falls, has one of the largest, and best, blocks of Gewürztraminer in North America. This wine is a fine dry Gewürztraminer with notes of grapefruit and herbs. 90. See Ya Later Ranch Rover 2011 ($21.99). This wine is 98% Shiraz co-fermented with Viognier. There is pepper and spice in the aroma and finish, along with cherry and red berry flavours. 89. See Ya Later Ranch Ping 2011 ($24.99). This is 45% Cabernet Sauvignon, 45% Merlot and 10% Cabernet Franc. The texture is full, even chewy, with flavours of black currant and appealing sweet fruit on the lingering finish. 90. Stag’s Hollow Winery Riesling 2013 ($20 for 380 cases). This wine is bursting with youthful flavours of grapefruit and pineapple. The soft acidity gives it a juicy texture. 88. Stag’s Hollow Winery Syrah Grenache Rosé 2013 ($22 for 168 cases). This wine is 85% Syrah and 15% Grenache. It begins with aromas of strawberry and raspberry. The juicy palate echoes those flavours, along with watermelon and a hint of pepper. The finish is dry; think of a Provence rosé. 90. Stag’s Hollow Winery Renaissance Pinot Noir 2010 ($35 for 236 cases). This is a charmer, with strawberry and cherry flavours nestled in silky tannins. The finish has a kiss of spice. 90. Stag’s Hollow 2012 Grenache ($30 for 170 cases). The wine glows in the glass with a plum-like hue. The aromas are a medley of berry notes with cloves and cinnamon. The palate is soft and juicy, with bright flavours of currants, cranberries and mocha. As the winery notes, the flavours recall a “bold New World style Pinot Noir.” That’s hardly a bad thing. 92. Synchromesh Wines Thorny Vines Vineyard Riesling 2013 ($18.90). With clone 21B Riesling from a Naramata Bench vineyard, Synchromesh has made a wine combining racy acidity with a well balanced residual sweetness. The wine has lime and lemon aromas and flavours. The wine is showing well already but has potential to develop appealing complexity with another year or two of age. 90. Synchromesh Wines Thorny Vines Vineyard Botrytis Affected Riesling 2013 ($14.90 for 375 ml). This wine definitely was being shown too soon; the botrytis characters have yet to develop the honey and tobacco notes that come with a year or two in bottle. Not rated. Synchromesh Wines Palo Solara Vineyard Pinot Noir 2012 ($24.90). The grapes for this wine come from a vineyard in East Kelowna. The wine has a bit of that intriguing earthy character sometimes called barnyard, which usually signals ability to age into a complex wine. At this time, the flavours of cherry and plum dominate. The firm texture is moving in the direction of silkiness. 88. Synchromesh Wines Turtle Rock Farms Tertre Rouge 2011 ($34.90). This is 62.5% Cabernet Franc, 37.5% Merlot, from a Naramata Bench vineyard. It shows vibrant flavours of blackberry and cola with a touch of vanilla. The long ripe tannins give the wine a rich texture. The wine is named for a corner at the Le Mans racing circuit in France. 90. Topshelf Winery Slapshot Chardonnay 2012 ($18). Because the winery owners had two sons in professional hockey, they have exploited hockey terms for all their wines. This unoaked Chardonnay has crisp apple flavours with a hint of citrus. 88. Topshelf Winery Point Shot Pinot Gris 2012 ($18). Slightly off-dry, this wine has aromas and flavours of apple, pineapple and grapefruit. 88. Topshelf Winery Penalty Shot Blush 2012 ($19). This is a blend of Chardonnay and red varietals that delivers strawberry and cherry aromas and flavours. 88. Topshelf Winery Over The Top Merlot 2011 ($20). The oak frames flavours and aromas of vanilla and black currant. The ripe tannins give the wine a general texture. 88. Topshelf Winery Hat Trick Meritage 2012 ($33). This is 80% Merlot, with Malbec and Cabernet Franc. It shows aromas and flavours of blackberry, plum and cherry with notes of vanilla. Only 300 bottles were made. 90.